A seafood spread at Uncle Boons. Photo courtesy of Uncle Boons. It's been roughly a year since chef Jessi Singh brought Babu Ji to New York City. Since then, he's expanded his immensely popular Indian restaurant to San Francisco's Mission District, and, between shifts and cross-country trips, dined at some of downtown Manhattan's culinary gems. Here are his top picks. NEW YORK CITY – After leaving Australia, where my culinary career started, my wife Jennifer and I moved to her hometown of New York City and opened Babu Ji in Alphabet City in 2015. We now split our time between New York and San Francisco, where we recently opened a Babu Ji in the Mission District, and find ourselves at these places when we're in the Big Apple. The New York institution is where I go for chai, samosas, and an Indian newspaper or magazine. A healthy place for lunch where you can build your own Indian-inspired bowl. The best Indian-Chinese food is about a 35-minute train ride from the city. I love their lamb, Hakka noodles, and chili chicken, and they do Indo-Chinese buffet on the weekend. Bonus: There's an old-school Indian movie theater down the street. Often referred to as Little India, Jersey City is a taste of home located less than a ten-minute train ride from Manhattan, and is where I get all my Indian groceries. There are no-name places all over selling street food like dosas, and watch families come into town to do their shopping. The bar at Finder's Lane. Photo courtesy of Finder's Lane. A delicious spread at Ivan Ramen. 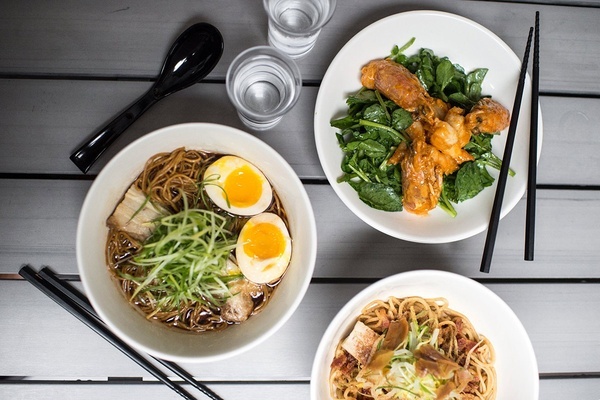 Photo courtesy of Ivan Ramen. 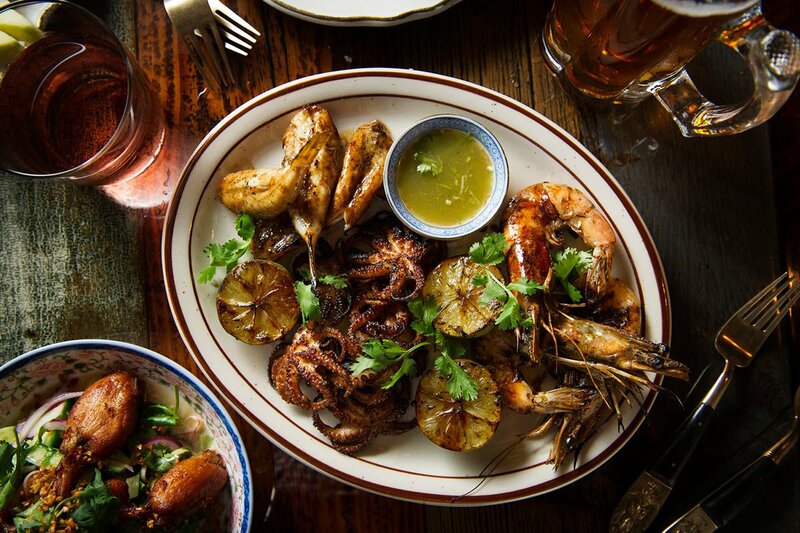 An Aussie restaurant with a Southeast Asian focus. I love their coconut curry laksa and cocktails. Another great Aussie spot that serves healthy, clean breakfast dishes and great coffee. Great Mexican food, margarita, and cocktails in the East Village. I'm fond of the fish tacos. Creative sushi rolls and the best omakase for just $40. Sit at the counter and let them look after you. Great Thai food in Nolita. I go here for my favorite crab fried rice and roasted bone marrow satay. I love the spicy ramen. And I ask them to make it extra spicy for me. It's the place to be: fun, happening, great cocktails. It's where I go after service. Another great place I like to go to after service at Babu Ji. 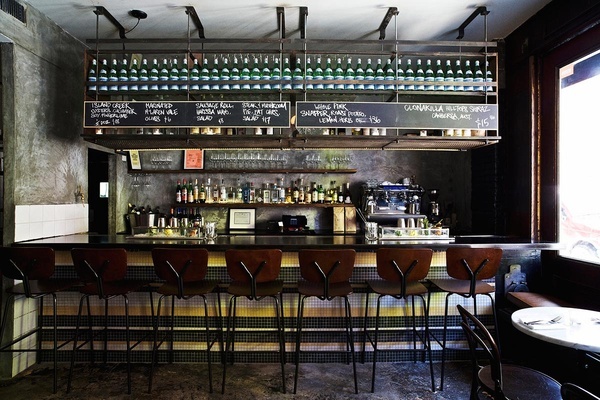 A fun spot on the Lower East Side with a great cider program. 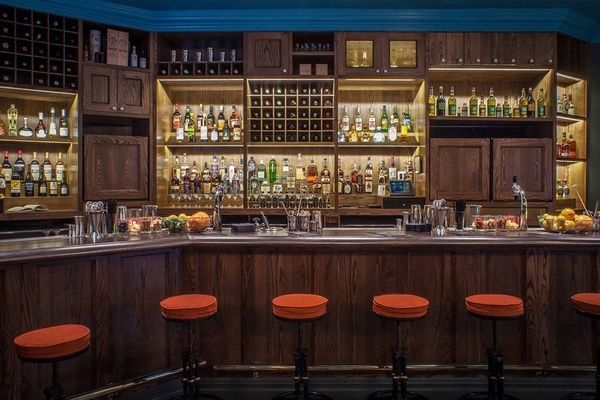 The bar at Pouring Ribbons. Photo courtesy of Pouring Ribbons. 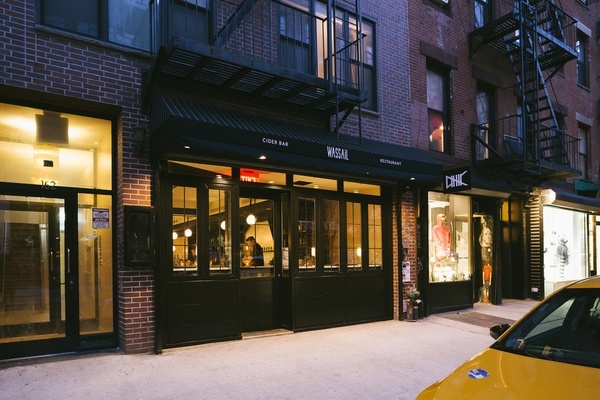 Lower East Side vibes at Wassail. Photo courtesy of Wassail. This is where Jennifer and I go to relax and have a nice bottle of wine. I love the beef tartare and Jennifer enjoys the crudo. We take the family to Central Park Zoo and ride the carousel. It's great to see all the excited tourists taking pictures. It reminds me of when I was a tourist in New York. Another great family-friendly spot. We have an annual membership, so we go here often. When guests come to town, I recommend this spot on the Lower East Side. It has comfortable rooms and is close to practically everything. Jessi Singh is the chef and co-owner of Babu Ji in New York and San Francisco. You can follow him on Instagram at @jesssi_singh, @babujinyc and @babujisanfrancisco. He travels for the pursuit of eating around the globe.